MINSK — An exit poll predicted Belarussian President Alexander Lukashenko would win 74 percent of the vote in an election held Sunday, and he dismissed opponents' threats to protest the outcome. Nine candidates were running against Lukashenko. 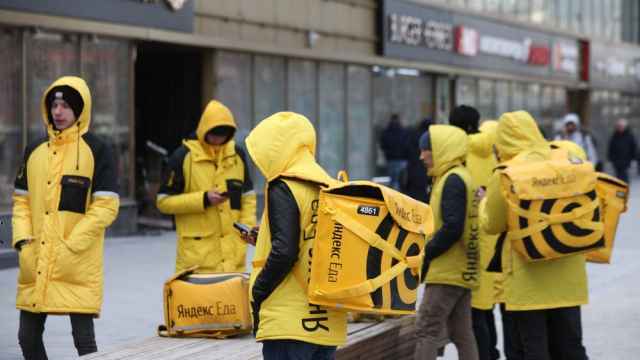 Core opponents, including the Tell the Truth movement of Vladimir Neklyayev and Belarussian nationalists, planned to call supporters out into the freezing October Square on Sunday evening to protest what they said was heavy vote rigging. An early exit poll by EcooM, a pro-government research body, on Sunday foresaw 74.7 percent of the vote going to Lukashenko. The president secured more than 80 percent of the vote in 2006. Lukashenko, appearing before journalists at a polling station, scoffed at the opposition and played down the likely impact of their protests. "Don't worry, there will be nobody on the square," he said. 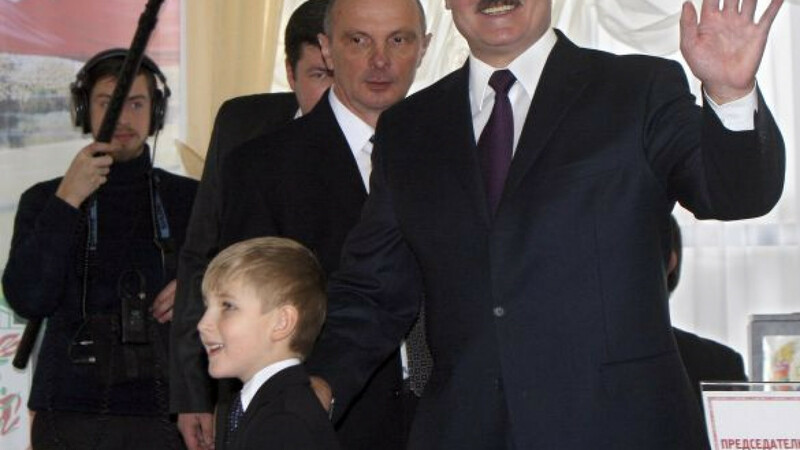 Lukashenko was accompanied by his third son, 6-year-old Nikolai, who cast the ballot for his beaming father in the full glare of television cameras. But political fervor was generally in short supply on the broad, snow-laden avenues of Minsk. Lukashenko crushed dissent harshly in the early years of his rule, jailing opponents and muzzling the media. "I don't want to vote for Lukashenko, but I don't know anything about the others. Maybe I'll vote for the 'against everyone' candidate," said Olga, a 34-year-old teacher, shortly before she went to vote. Lukashenko's often harsh action against political opponents has been balanced by a policy of generous welfare and pensions. Referred to as 'batka' (father) by many people, his man-of-the-people style goes down well with those nostalgic for the security of the Soviet era. "I voted for Lukashenko. We've been 16 years with him already," said Lyudmila, a factory worker in her 50s. The European Union, which for years treated Lukashenko as a pariah, is now suggesting financial aid could be in the offing for Belarus if there is at least a veneer of democracy in the election this time around. The EU will be watching carefully the verdict on Monday of the Organization for Security and Cooperation in Europe, which has fielded a small army of election monitors across the country. Lukashenko, 56, won backing at the 11th hour from Moscow after being vilified on Russian television for weeks, and he seems set to continue a policy of playing off Russia against the West. Reconciliation with Russia came last week in the form of an oil and gas pricing deal — extinguishing any glimmer of opposition hope that Russia might withhold its endorsement. Russia agreed to drop duties on oil exports to Belarus and keep natural gas prices unchanged next year in a deal expected to save Belarus $4 billion next year — enough to cover a budget deficit that has widened because of lavish pre-election spending by Lukashenko, including raising the minimum wage. Lukashenko savored the triumph Friday. "These agreements influence both the currency rate and the mood of the people," he said in his first public comments on the deal since returning from Moscow. A one-time director of a Soviet state farm, Lukashenko was elected to the parliament in 1990 and in 1994 beat Prime Minister Vyacheslav Kebich to become president. He runs a command economy and has ruled Belarus with an iron fist, often jailing opponents and muzzling independent media while offering generous welfare and pensions to his citizens. A referendum in 2004 lifted the two-term presidential limit, allowing Lukashenko to run again. International monitors and rights organizations say elections are fraudulently run and not a single election has been recognized by the West since 1996. Lukashenko's third term in power has seen a slide in ties with Moscow and a bid by Lukashenko to court the West and shake off the title of the "last dictatorship in Europe." A well-known poet, author of many popular songs, Neklyayev is a mysterious candidate. After falling foul of Belarussian authorities, he lived in Poland and Finland from 2001 to 2005 but recently appeared as head of the Govori Pravdu (Tell the Truth) social movement. Pollsters say he is in second place behind Lukashenko, though far behind in percentage terms. 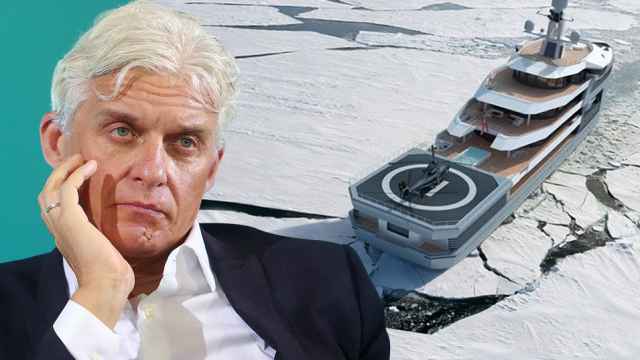 Analysts say his organization appears to rely heavily on funding from Moscow but that it is not clear whether this is from the Kremlin or from other sources in Moscow. A former deputy foreign minister, Sannikov quit the post in 1996 to protest a constitutional referendum and went into opposition against Lukashenko. He heads the most popular Belarussian opposition site, Charter 97, and the European Belarus movement. He has campaigned on taking Belarus into the European Union and improving ties with Russia. He says he funded his election campaign out of proceeds from selling his Minsk apartment. Kostusev is deputy head of the strongest nationalist party, the Belarussian National Front. 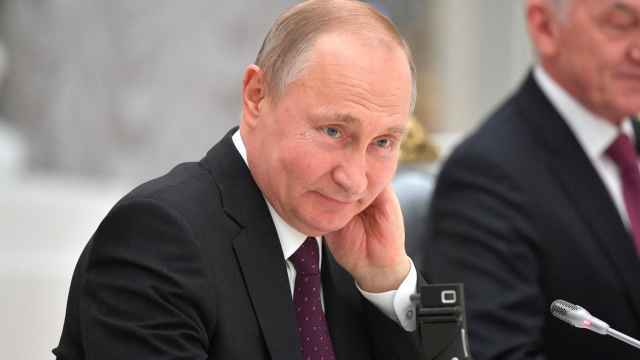 In his election campaign, he has said he would restore the border with Russia, which was symbolically "removed" in 1995 as part of moves toward a union, and would drop Russian as a state language. 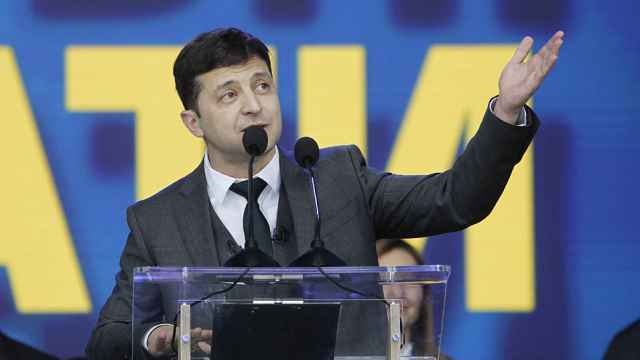 In public speeches, he has made harsh attacks not only on Lukashenko but also on Sannikov and Neklyayev, accusing them of being stalking horses for Russia. Deputy head of the liberal United Civic party, Romanchuk was known as an economic analyst until his candidacy for the presidency emerged. He supports a market economy model. A retired colonel, Statkevich has headed the Belarussian Social-Democrat party since the mid-1990s. At the end of the 1990s, he headed the opposition's biggest street rallies. He says he is not taking the election seriously but sees it "as a good reason to bring people out on to the streets." One of the leaders of the Belarussian Christian Democratic party, Rymashevsky has been an active participant in opposition street protests in recent years.